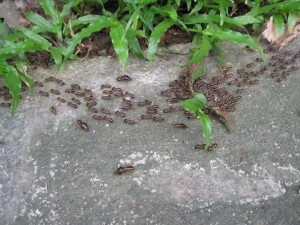 There’s a wide range of termite sizes. 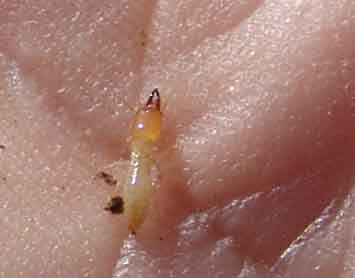 Termite size generally depends on the termite’s age and species. 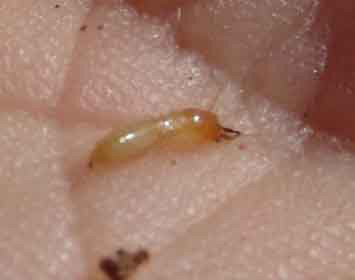 Each termite begins with an egg which is really tiny. You need a good magnifying glass to identify a termite egg. When the egg hatches into a larvae, it is still tiny. After a few weeks the larvae will become a tiny worker, able to get around on its six legs, but still hard to examine with the naked eye. All that can be said for almost any species of termite, but that doesn’t answer the question. The reproductive queens and kings are larger, perhaps well over 1” in length, especially if you find them with wings which extend behind the termite body. The kings and queens spend most of their life without wings, so we won’t count the wings in most of the measurements we give in the rest of this article. Most of the termites in the lower-48 states (no termites in Alaska yet) are subterranean worker termites which may be as short as 1/8”, but grow to be up to ¼, or maybe as much as 3/8” in length. The soldiers found along with these subterranean termites will be slightly longer, while the reproductive queens and kings will be over ¾”. Such measurements do not include the wings and they do not include the extension of the queen termite’s abdomen which becomes quite long when the queen becomes a full-scale egg factory. Such an abdomen may extend for over 2” long and ½ “ wide or larger. Such a queen will be in a compartment within the nest and you won’t see her unless you carefully take the nest apart. Formosan subterranean termites are 10% to 20% larger than the domestic subterranean termites and they generally resemble each other. 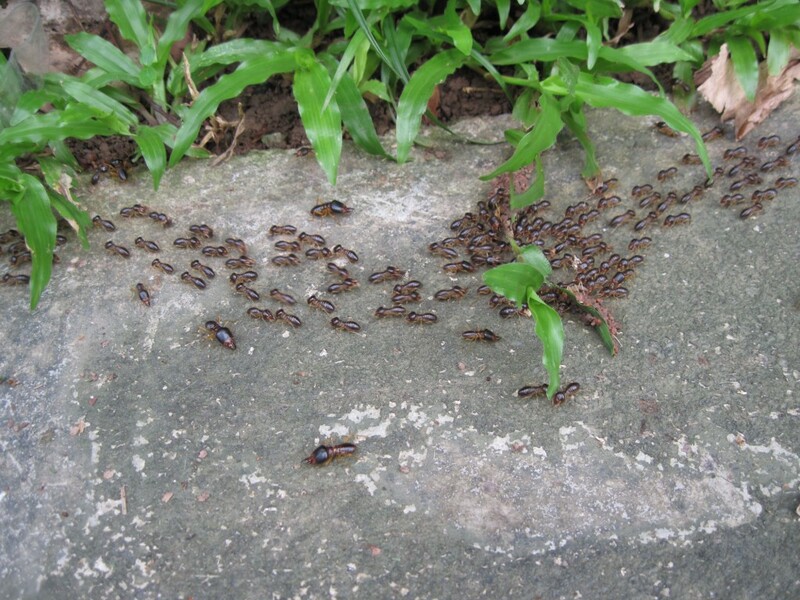 Formosan termites generally have larger nests and a wider territorial range. 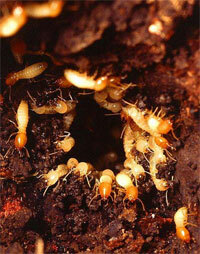 Mature drywood worker termites are about 3/8” in length, but may continue to grow as they gain reproductive ability. Here again, the kings may be over ½” in length and the queens with their large egg-producing abdomens will be even longer. However, the drywood termite queens will never get to be as large as the dampwood termite queens or even queens of the subterranean termites. To really get an idea of how big termites are, literally, a few termite pictures are worth a thousand words. So below are some pictures showing the different sizes of termites. Click on any of the images to see a bigger version. The largest termites in the USA are dampwood termites, found in the rainy forests of the Pacific Coast and in Southern Florida. 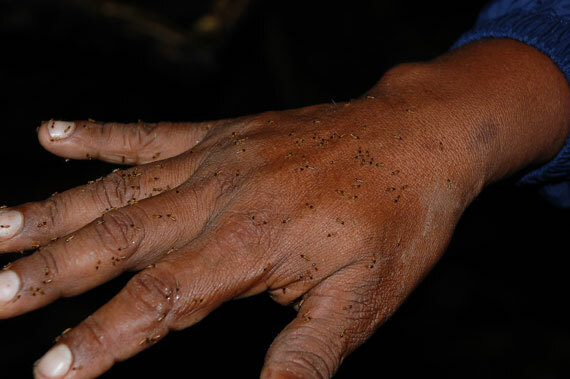 Most of this species that you will see have workers and soldiers which are ½” to 5/8” in length when full grown. One of our readers sent in a comment pointing out that not all termites are small. In the more humid climates, the termites don’t have to live below ground to keep their bodies moist. These are Dampwood termites, and they are larger then ants and much much larger then their subterranean termite cousins. 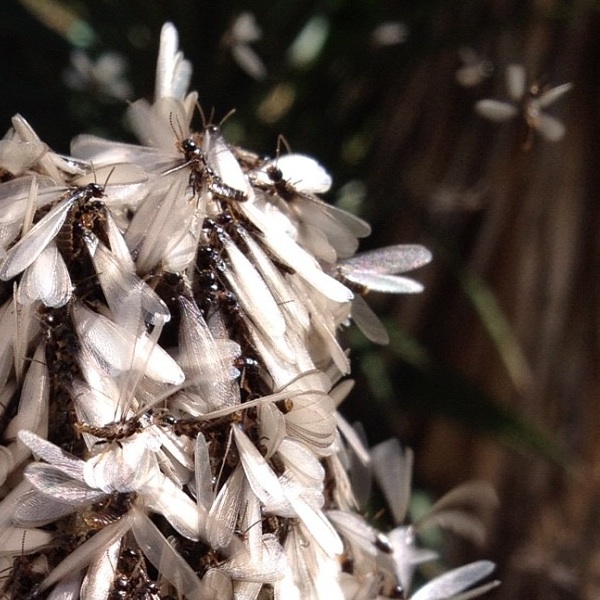 They included a picture of some Dampwood termites at a park near their house. It’s rather surprising how much bigger these termites are. So to answer the question: How big is a termite? 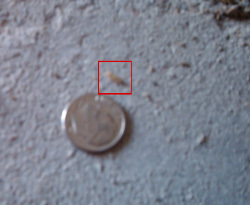 Really really dang small, unless you’re talking about Dampwood termites, then they are rather large.